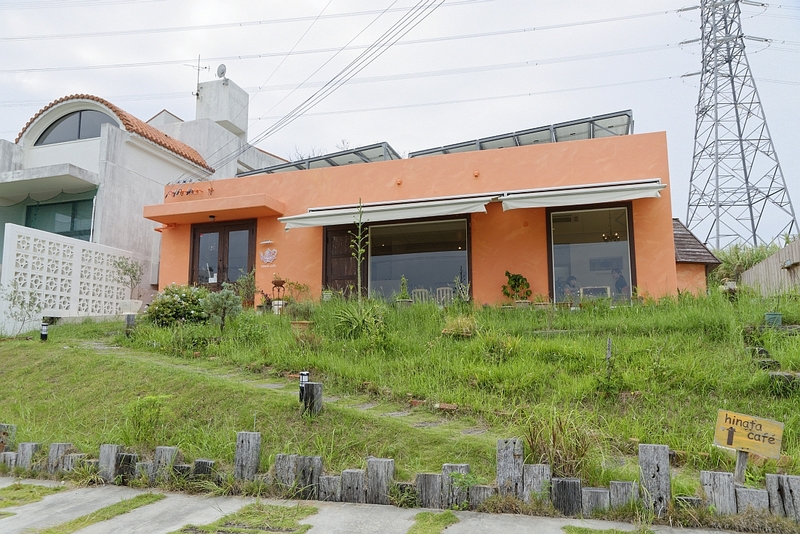 Rising like the sun from above the top of a small hill in Uruma City’s Taba district is a bright orange building. 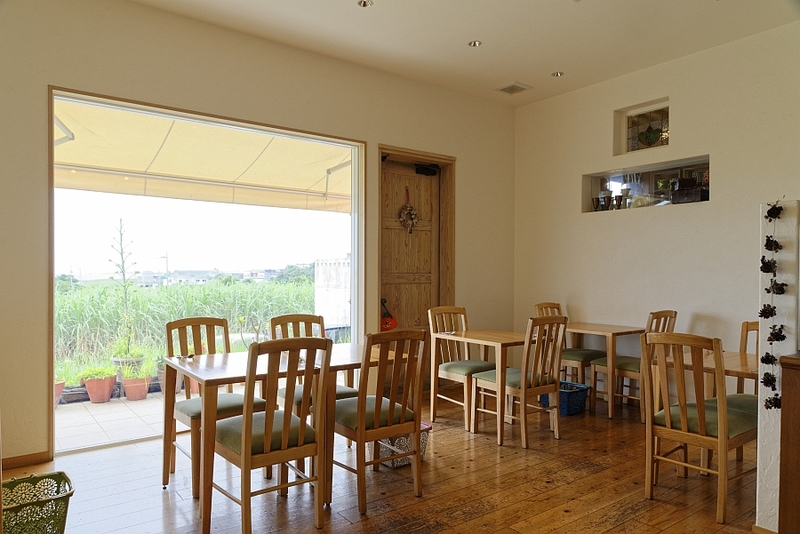 This is the adorably named “Hinata (Sunlight) Cafe”. 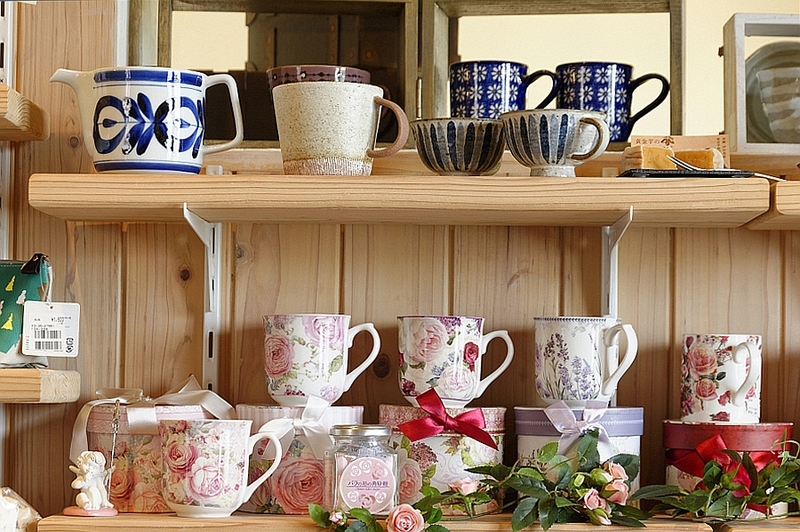 The store is famous for it’s food and sweets made from all locally produced Uruma City ingredients. it’s almost as if you’ve entered a fairy tale. 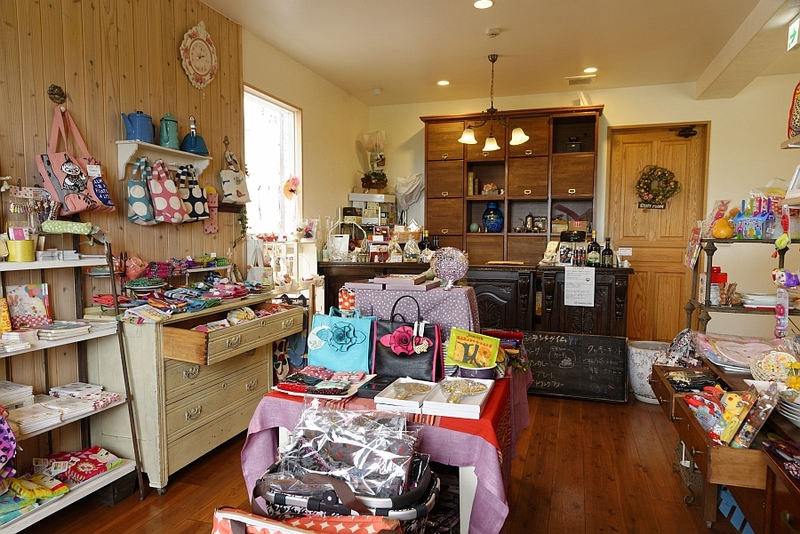 Bags, pouches, and tea cups made by the owner Ms. Agena line the shop. 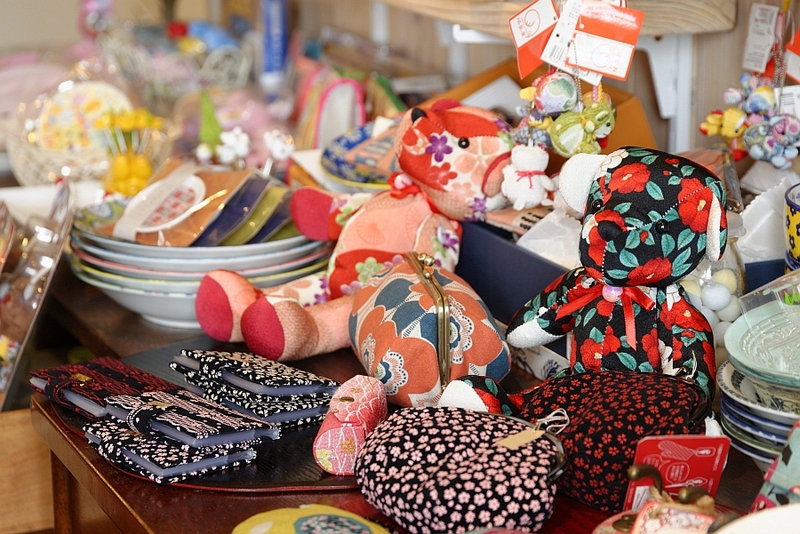 “I wanted to make little things that can make you happy just by holding them,” she says. as your eyes rove around the room and take in all of the sights. The back of the store is a simple but calming space. Beyond the large windows expands a luscious green scenery. you can see all the way from Henza Island to Miyagi Island and Ikejima Island. According to Ms. Agena, recently she’s seen more and more tired parents and workers. 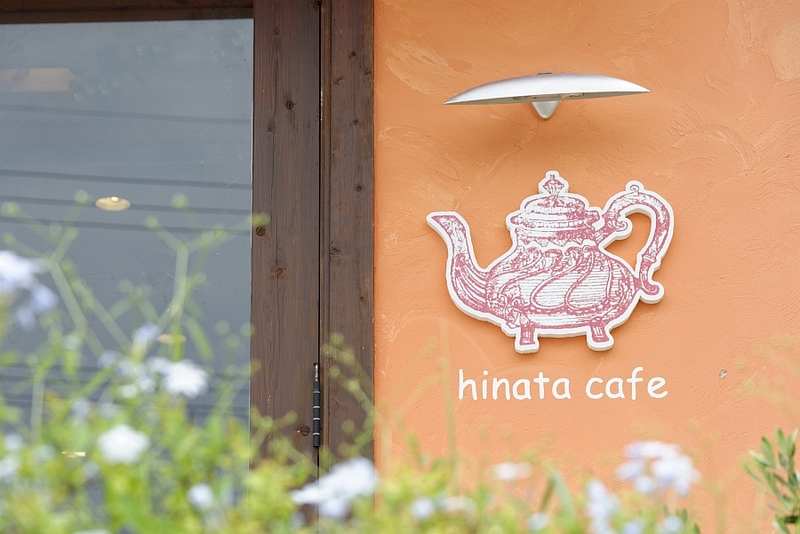 ” and with this thought in mind she opened “Hinata Cafe”. The food and sweets lining the shop were all her idea as well. Through trial and error she learned how to cook on her own and created her own recipes. 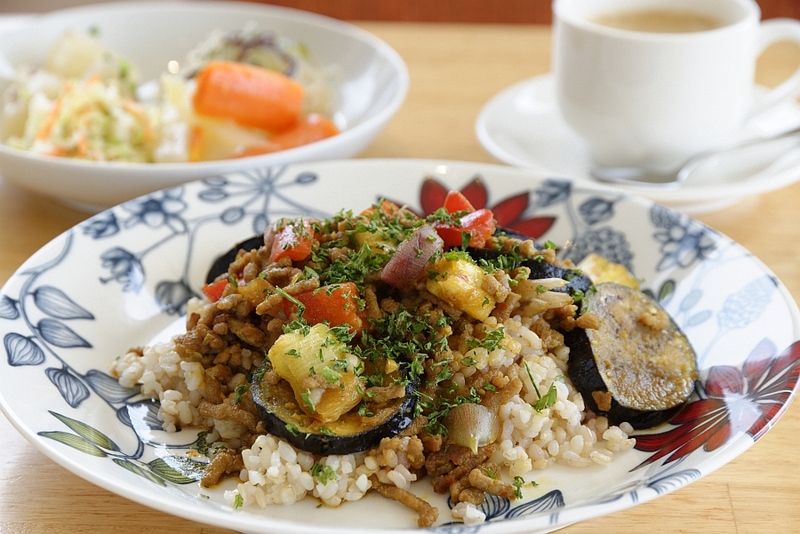 Here is of her favourites, “Asian Curry Filled with Vegetables. with a spicy flavour and sweet undertones. It’s a colourful and fresh dish that has been popular since the shops opening. 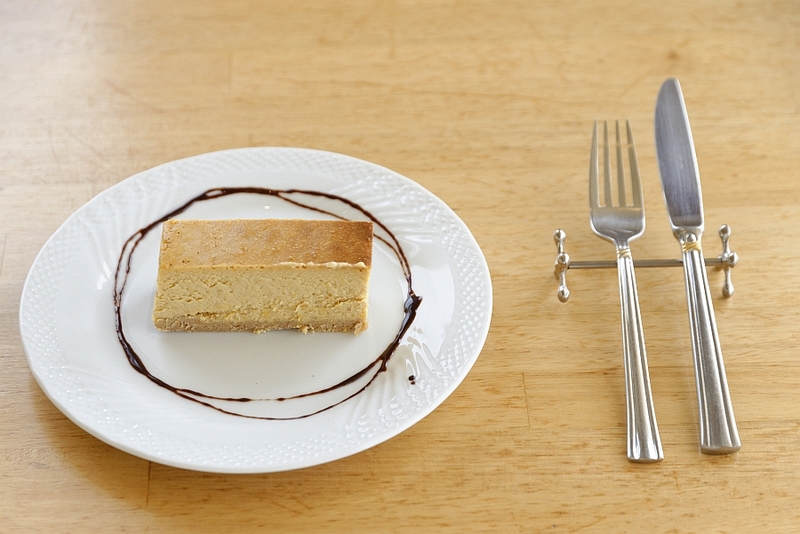 Top of your meal wtih some delicious sweets! it’s even recieved orders from outside of Okinawa! 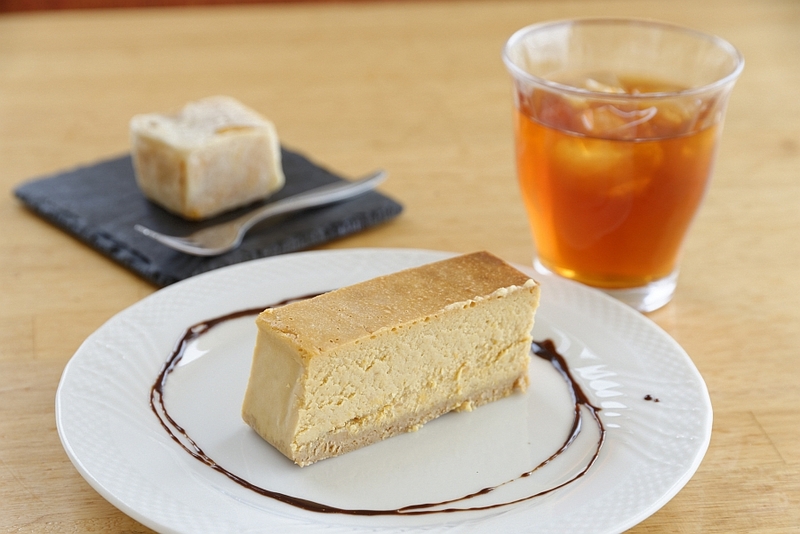 Its moist cake and balanced flavour of sweet golden potato and cheese will make you absolutely addicted. Then there’s the “Kintsuba” made from Ikeijima Island’s famous golden potato. 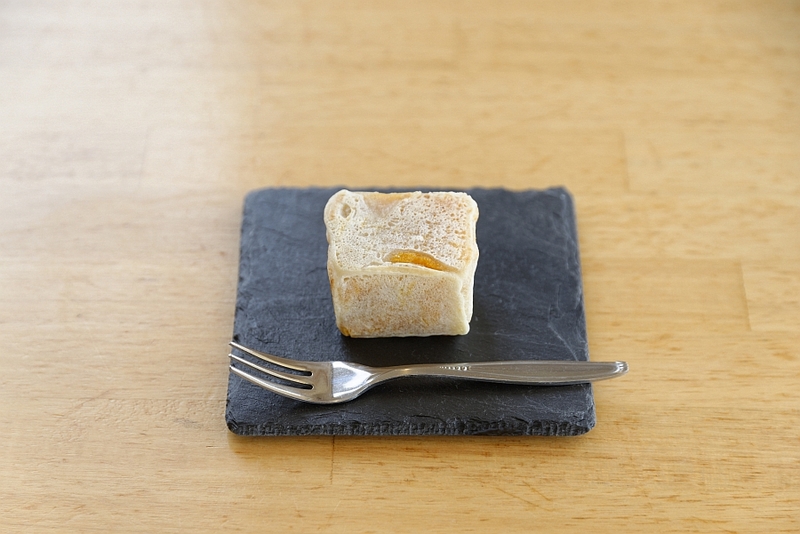 Its crispy crust, soft texture and slightly sweet flavour are a treat to your senses. to customers are specially picked to suit the individual customer. additive free food and finding decorations to create a pleasant atmosphere for her customers. comforting atmosphere like dappled sunlight in the forest– just as its name suggests.